Jamia Tibbiya Deoband College established in 1987, is a well known minority institution imparting education in Unani Medicine and Surgery. It conducts B.U.M.S. and M.D. courses as prescribed by the C.C.I.M. Jamia Tibbiya Deoband was established and is being run and managed by Muslim Progressive and Educational Council of U.P. The program integrates graduate and post graduate level professional critical thinking, research and analysis, problem solving, leadership in professional activities and organizations, self directed learning and the affective use of modern clinical technology for professional practice that includes elements of research, leadership, perpetual professionalization and ultimately, sincere and dedicated service for the benefit of the patient. Why to Join Jamia Tibbiya Deoband College? A variety of teaching and learning techniques are employed to impart knowledge and skills to students at Jamia Tibbiya Deoband in its various departments. 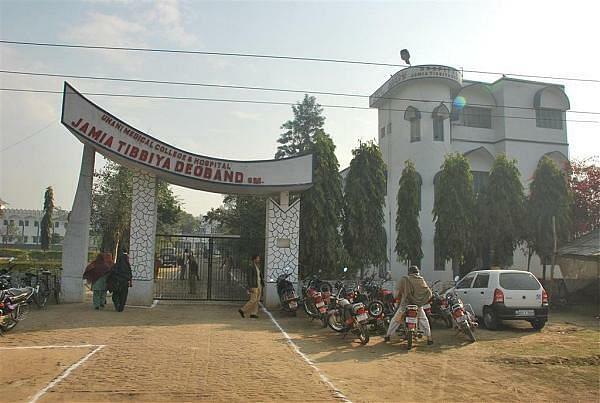 The government of Uttar Pradesh declared Jamia Tibbiya Deoband a Minority Unani Medical Institution in 1990 and granted permanent permission to conduct the course of B.U.M.S. as prescribed by the C.C.I.M.